When anchoring booms or barriers it is important to consider the primary goal is to maintain containment. 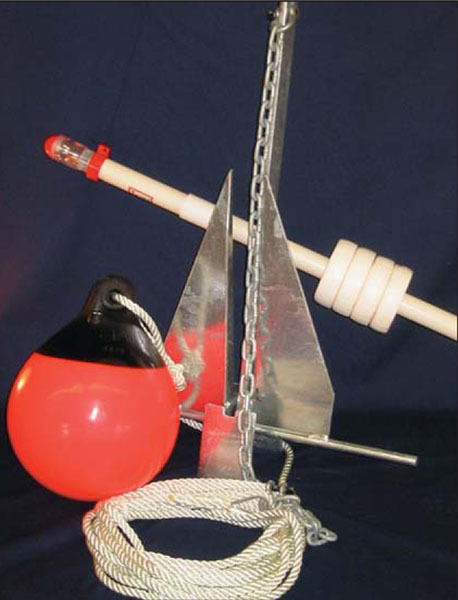 By using a mooring buoy as a sacrificial element in an anchor system you reduce the risk of submerging the booms flotation under heavy loads. It is not recommended that booms anchored from their bottom or ballast. There are many variables to consider when deploying boom anchoring systems. Knowledge of the current flow, prevailing winds, bottom composition and depth of water can help to focus the design of a proper anchoring system. In situations where the boom or barriers are to be deployed in navigable waters, the U.S. Coast Guard Marine Safety Office, or local governing authority must be consulted. 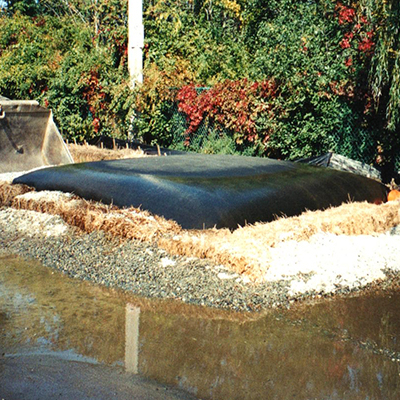 A disposable filter bag designed for rapid, on-site dewatering of sediments from any water pumping activity. Manufactured from heavy weight, non-woven geotextile filter fabric with effective filtering properties to 150 microns. Standard size is 15’ x 15’ with a maximum hose inlet diameter of 8 inches. The filter bag allows initial flow rates greater than 15,000 gal/min (flow rates will diminish with the accumulation of sediments within the bag). After bulk dewatering takes place, self weight consolidation and the confining pressure of the geotextile bag itself continue the dewatering process. Extremely short dewatering time vs. the typical retention pond methods result. Part of the efficient retention process occurs because of the physical properties of the geotextile fabric and also from the filter cake that forms on the inside of the filter bag shell, thus creating a two stage filter. Other sizes and materials available to meet site requirements.